The City of Taylor Mill has been recognized as a model community by the Complete Streets Initiative. Its efforts to make itself more walkable and accessible lead to Taylor Mill's receipt of a grant. 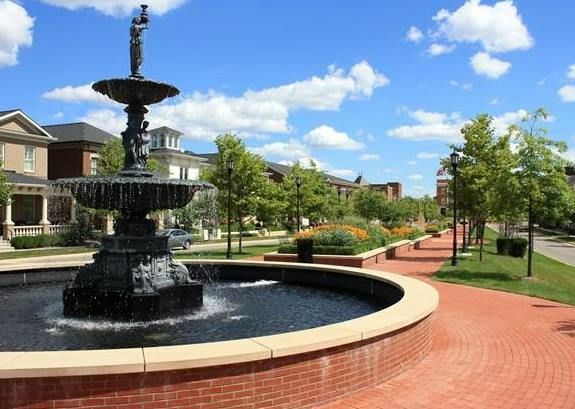 The city commission will soon tour Norton Commons, a planned community in Louisville, to see how the initiative works. Complete Street Initiative takes into account pedestrian walkways fused with public transportation, fused with vehicular traffic, in order to define a model community. The Northern Kentucky Health Department has partnered with the Northern Kentucky Planning Commission to help promote and spread the word about Complete Streets. Taylor Mill will make a municipal order in the form of a policy that will direct developers in the direction the city wants the Complete Street Initiative to unfold in terms of future projects for sidewalks that are adjacent to development. City leaders have long planned to make Taylor Mill a more walkable community going as far back as 2008 when Mayor Dan Bell and others on the commission at that time vowed to create more sidewalks and bike lanes in the area. Those efforts are still underway and can be seen with new sidewalks along both sides of Pride Parkway and also in the work being done on Route 16. Representatives from Complete Streets are expected to be in Taylor Mill in October to further discuss the initiative with the city commission. Complete Streets is a planning and design process that changes the way most roads are planned, designed, constructed, operated and maintained to enable safe access for all users. It works for the adoption and effective implementation of Complete Streets policies at the local, state and federal levels. “It was nice that they recognize within the region that we are doing something unique in terms of trying to be more pedestrian-friendly and of course mix that with public transportation,” said City Administrator Jill Bailey. Mayor Bell says he can already see the improvements working within the city.